At Chuckies, we have been hosting Private Parties for many years for Companies, Special Interest groups, Clubs and Associations who get together once or twice a year for a Social Evening or Special Event Party. It is an ideal venue where kids can play, exercise and socialize while parents catch up with colleagues or meet other parents with similar interests in a relaxing environment. Private Hire is available Thursday & Friday evenings from 6pm – 8pm. 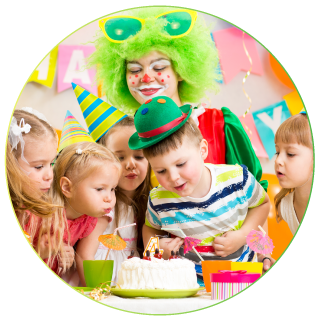 It is a low cost entertainment option for large groups and we can arrange extras such as Magicians, Face Painters, Disco or Catering for a memorable evening out. At Christmas time, we can also arrange for Santa to come & meet the children.